New Batch Job Parallel Processing is not running. There are 30 JPG pictures. 300 DPI each. I'm trying to shrink the images with "Save as JPEG". However, it does not work when "Parallel processing" is activated. It only works if I don't select "Parallel processing". What happens when you try to run the batch-job with Parallel Processing activated? 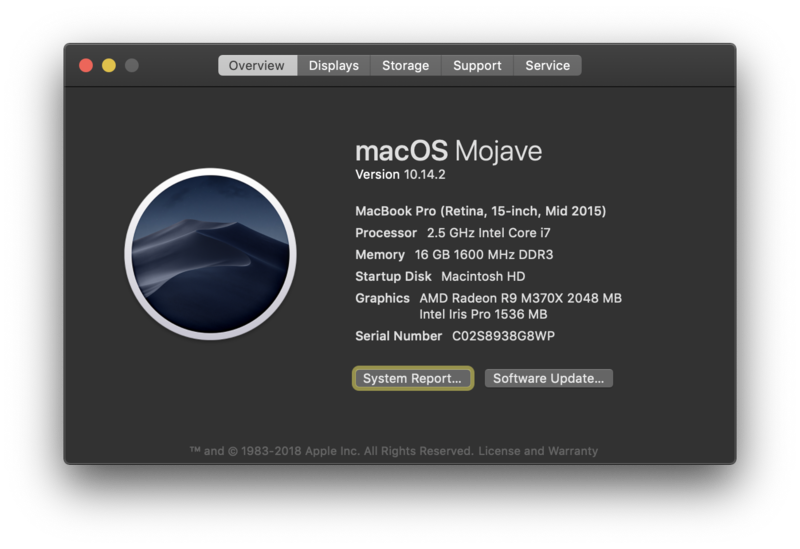 It looks as though this is an issue with Mojave that is currently logged to be fixed in a future update. 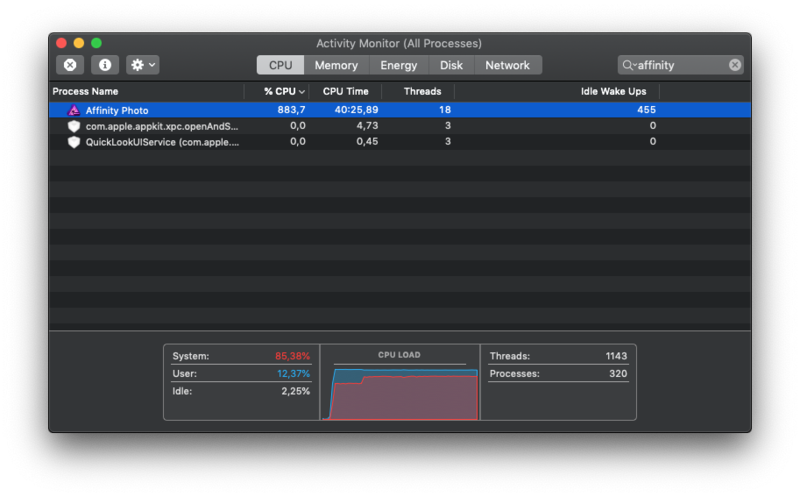 When Parallel Processing is activated, CPU usage becomes 884%. Also, an endless loop is running. The process does not complete. This is a known bug with Mojave at the moment and is currently logged with our developers to be fixed. 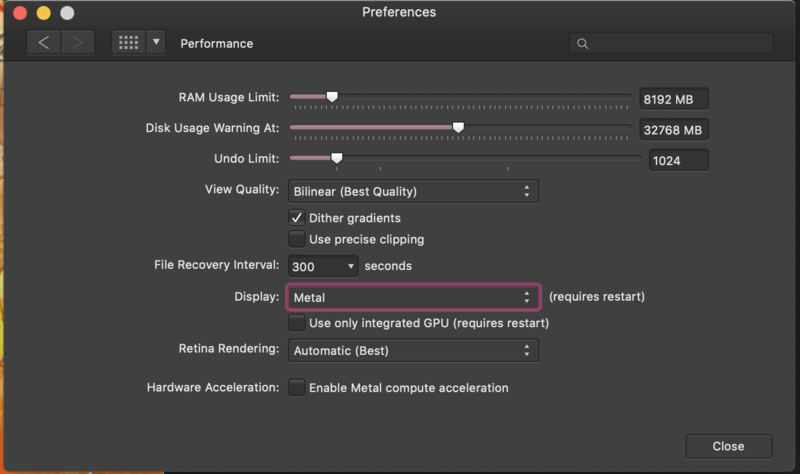 You should be able to work around this by going into the apps preferences and under the Performance tab change the Display dropdown to Metal. Hi Callum, I have this issue and my display preference is already set to Metal. Turning off parallel processing however, does work around the issue. HI there, I wanted to chime in as I just found this bug through my own workflows .. parallel processing not working to batch process 90 or so afdesign files to .png graphics. With parallel processing turned off, this works OK. Note: I had this happen on both Mojave (today) and High Sierra (last month). Same here, just fixed it unchecking parallel process too. Any update so far? I have the same problem on Mojave, even with display set to Metal and parallel processing turned off. This is a real pain, and I frequently convert large batches of images from one icc profile to another. can some DEV really comment on this if they are aware of the issue and when it could be fixed? I just tried to run a batch process with Parallel Processing activated using the Beta 1.7.0.110. When do you think the new version will be released ? After a test on about 10 files, I loaded about 2300 files in source of batch process to image shriking and metadata removing. Affinity crashed after processing 1523 files.